Few things can disrupt your weekend more than an unexpected clogged drain or plumbing leak. At Downey Plumbing, we make sure these types of incidents do not ruin your entire weekend. Whether you have an unexpected leak or your heating or your air conditioning system stops working, we are standing by to help 24 hours a day, 7 days a week. 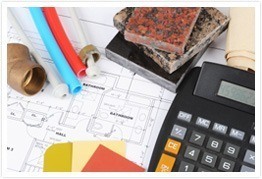 Just because your plumbing issue is late at night or on a weekend does not mean you need to be inconvenienced. We have trained technicians on call in Downey and surrounding areas to help you get your weekend back to normal as quickly as possible. When your heating or cooling system fails in the middle of the night or on the weekend, we know you do not want to wait until normal business hours to have them looked at and repaired. We have built our reputation on being available to our customers all over southern California including Downey, Pico Rivera, Paramount, Commerce, South Gate, Lakewood and Bellflower. You can feel confident that our plumbing or heating specialists will be there to assist you any time, day or night, to get things back to normal as fast as possible. 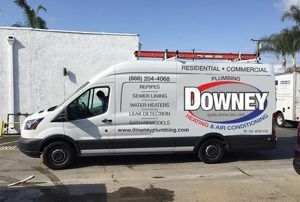 Call us today for all of your emergency plumbing, heating or cooling needs and let us demonstrate why we are known for our quality service.